Pallets are one of the most crucial items when it comes to self-packing shipment and it is therefore important to be well-informed about the various types and usages of pallets for shipping. These transport structures are available in multiple sizes and can be made of a number of different kinds of material. Given the variety, it can often be quite a task to pick the right pallet for your requirements. The most commonly used pallets are made of wood, but more recently materials such as plastic and fibre are also being employed to make pallets. While part of the decision behind picking the ideal pallet rests on the country you are shifting to, knowing the different types of pallets used for shipping, the kind of materials available in the market, and the usage of each type helps you make the best choice for transporting your goods. Stringer pallet: This type of pallet consists of a frame that has three parallel beam stringer pallet uses a frame with parallel beams (usually three or more). These beams are under the upper surface of the pallet. Block pallet: This type of pallet has a block for a base, is usually heavier and sturdier, and can carry more weight than a stringer pallet. 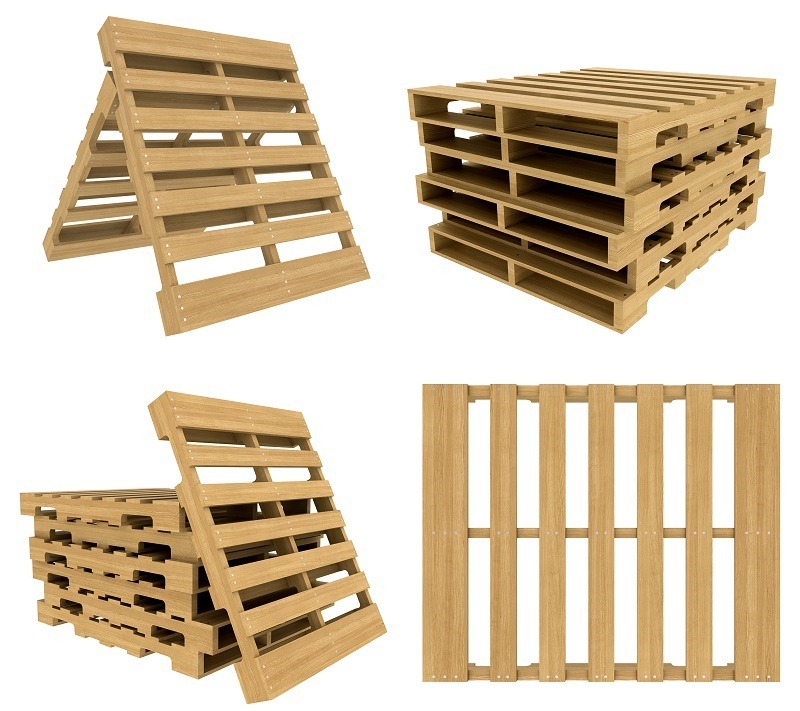 Wooden pallets: Wooden pallets are the most common pallet types and are used for transporting bulky and heavy objects. The wood makes for a robust and long-lasting packaging material and can reliably carry load. Wooden pallets are easy to construct and relatively less expensive than other material. Moreover, these pallets are made of individual boards and can be easily repaired and, therefore, can be reused for a long time. On the downside, wooden pallets are inherently heavy, adding on to the weight of the load. They are also likely to cause injuries due to splinters and nails. Being made of wood, these pallets are susceptible to humidity and moisture and they can be quite difficult to clean. Press wood pallets: Made of compressed wood fibres, press wood pallets are sturdy and can carry considerable load despite being very lightweight. These pallets are easy to carry and use and come with the extra benefit of being recyclable. However, press wood pallets are not without their cons. For one, they tend to get damaged upon exposure to moisture from the environment. In addition, since they are relatively new in the market, many warehouses are not equipped to store them; making the movement from one warehouse to another somewhat limited, if you decide to use press wood pallets. Metal pallets: Usually, metal pallets are made of steel or aluminum. These are extremely sturdy and are capable of carrying enormous weights, and hence are frequently used to transport heavy, industrial goods. They are also quite hygienic and easy to clean making them a popular choice in food industries. Besides their strength, metal pallets are also in no danger of damage from weather or pests, making them extremely hardwearing. Unlike wooden pallets, these heavy-duty pallets do not pose the risk of splinters or other similar hazards. The only downside to metal pallets is the higher charge of transportation due to their heavy weight. 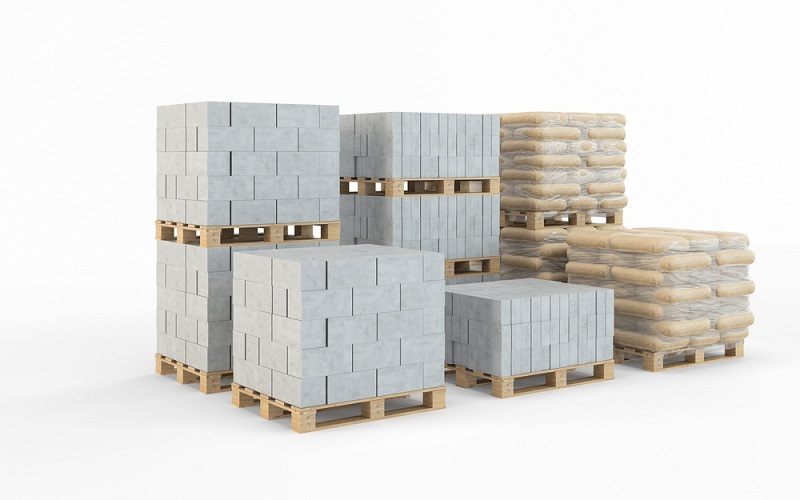 Plastic pallets: One of the lightest varieties of pallets for shipping, plastic pallets can carry endure heavy loads without adding to the weight of the shipment due to their inherent low weight. These long-lasting, reusable, and recyclable pallets can withstand the weather in addition to being resistant to shock, stress, and chemicals. However, while they are easy to clean, plastic pallets are not easily reparable. Due to their robust features, plastic pallets are also more expensive than most other types of pallets used in shipping.